What does it mean to really travel? Zakia challenges us to think about what it really means to travel and how might we go a little beyond our postcards and guidebooks and experience all facets of a city. 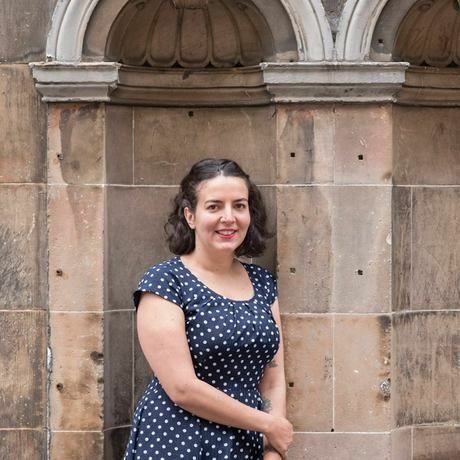 Zakia founded “Invisible Edinburgh”, walking tours throughout Edinburgh, guided by people who have experienced homelessness who offer their own personal insight into Edinburgh’s past, present and future. Zakia is from France and has been living in Scotland for 8 years where she has worked with local and international charities, mostly organisations working with homeless people. After working as Director of International Partner Development at the Homeless World Cup Foundation, a global network of street soccer projects, she is now an International Development Consultant. She now works for Scottish Social Enterprise Social Bite and is also the Founder of Invisible Edinburgh. Their mission is to train local people who have experienced homelessness to become walking tour guides of their cities. They offer local and social tours, connecting tourists and locals with places that make the city what it is. Zakia wants to create change around the stigma surrounding homelessness worldwide and bring people together, no matter their backgrounds, stories or problems. Tickets to this private tour are £6 per head, instead of the usual £8. A great deal for a great cause.